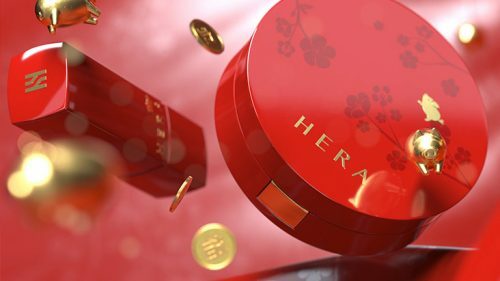 To commemorate the Year of the Pig, Korean skincare label – HERA has launched a special Golden Pig Collection which includes Age Reverse Cushion, Rouge Holic Shine, Signia Cream and Magic Starter. You can shop these items from HERA official Tmall store – and best of all, they are giving discount and free gifts now. For instance, the limited edition HERA Golden Pig Age Reverse Cushion is ¥30 off and comes with 2 free refills + a 7-piece skincare set. Ensure the items arrive safely by getting us ship them back via our China warehouse.